For most men shoes of no importance or they tend to under estimate how shoes can impact your look and how some people will perceive you. I used to be one of those guys. Now I have slowly developed a slight obsession with dress shoes and casual shoes. 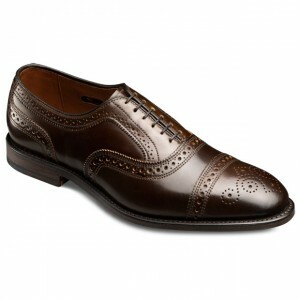 My all-time favorite would be Allen Edmonds, which are beautifully hand crafted here in the United States. That’s just my personal favorite though. There are many other brands out there that can compare. People usually get discouraged by the price of a well-made shoe, but would you buy something that is made with the precision and quality that will last you 10-15 years? Or would you rather buy a cheap shoe that will fall apart on you in a year or two and then have to replace it again and again? By the time you've replaced the shoes two or three times, you've already spent the same dollar amount that you would have spent buying the quality shoe. This shoe is one of my personal favorites. It's the Rush Street Cap-Toe Oxford that is hand crafted by Allen Edmond, which is an American company based in Wisconsin. This shoe is made from Chromexcel leather, which comes from the side of the cow. One of the best things about Chromexcel leather is that it already has a natural waxy shine to it and it is extremely easy to maintain. You just need a horse hair brush to brush it off and a cloth to wipe it down. Another great feature is that since Chromexcel is extremely soft, it does a great job molding to the shape of your feet making the shoes more comfortable. The down side to that is it can scuff fairly easily so you just need to be careful. A feature on this shoe that I love, is the sole. The sole is crafted from rubber instead of your typical leather. This allows for a lot more comfort if you're on your feet all day and gives it more durability. Yes, you are looking at an Allen Edmond shoe once again. Expect nothing less. 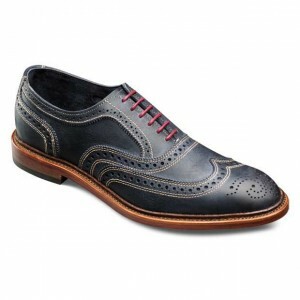 This shoe is the Neumok Wingtip Oxford. For starters, one thing I love about the Neumoks is that you can get them in a variety of colors. Navy, Distressed Leather, Olive Green, Ox Blood and a few more. Allen Edmond did a fantastic job of putting a new spin on a timeless shoe. You can wear these out on the town in casual attire or while you're dressed to the 9’s at work. Either way you decide to sport these classic shoes will make heads turn. The Strand is a timeless shoe. 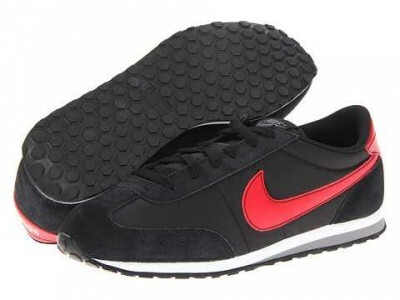 It comes with a rubber tap sole which will allow for comfort and traction. For the gentlemen that have dress shoes with leather soles, you know how easy it can be to lose your footing, especially if it's wet outside. A friend of mine has a pair of the Strand's, he has had them for 7 years and with age and wear it only adds character to the shoes. 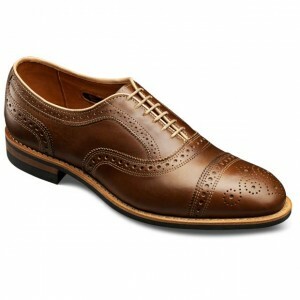 A great shoe to dress with and eventual transition into casual attire. The Strand Cordovan Oxford is quite possibly once of the most beautiful shoes I have ever seen. Many of you are probably wondering, what is cordovan? Cordovan is a type of leather that comes from a horse. Specifically from under the hide on the rump of the horse. The fact that it is cordovan means you cannot clean it like a normal calf skin dress shoe. If you try to you risk damaging the cordovan shell. Allen Edmonds sales a cordovan care cream to help you but if you stop at some random place to get them touch up, DO NOT forget to mention that it is cordovan. Once again the Strand is a timeless classic but now you have taken it to the next level by acquiring a Strand Cordovan. For me, personally, I’m not a fan of black shoes. It doesn’t matter what shoe or who makes it, I don’t like it. Unfortunately though, black dress shoes are something every man needs to own because there is always some occasion in life that will require black dress shoes. So, with that being said, get a pair that will last! 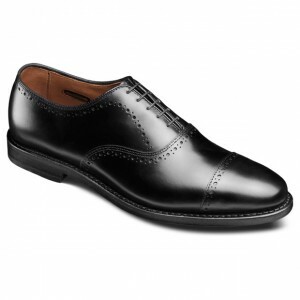 The Hale Dress Oxford is a great shoe, it has the simplicity of a basic dress shoe but enough detail to stand out in the crowd. I am a sucker for casual shoes. 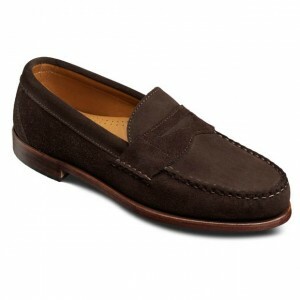 Especially great loafers or boat shoes. The Cavanaugh Penny Loafer does an amazing job of putting that casual look to use but also keeping the classy look. The Cavanaugh comes in many different colors (chocolate suede being my favorite). It has a leather sole but a rubber sole on the heal, which works well for traction. What really separates this loafer from the others is the oak trim and oak heal. It gives it a very distinguished look. The Ventura Hwy Driving Shoe is a solid shoe all around. It’s a great shoe for running errands or to be comfortable in while sitting around. This shoe will work great with jean's, chinos, or short's. You can do a lot with this shoe. It also comes in a variety of colors. This shoe right here, is a great slip on shoe. Comfortable and stylish, it's a great go to shoe when you're heading out with some friends to get a burger or a quick beer and you're not sure what to shoes to wear. 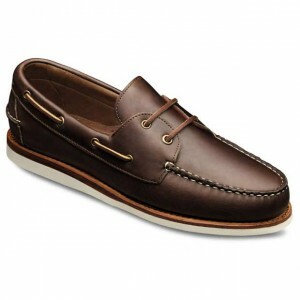 Boat shoes are by far an American classic. They will never go out of style. Hand crafted from premium clafskin leather with full lamb leather linning. This shoe makes for an ideal boat shoe. Its derable and can take a beating but keep it appreceince. It has a very unique Zanza sole for tranction. The soles are hand crafted in Italy. You're probably wondering why I have the Strand on here again. It's because Allen Edmond gives you the option of golf shoes as well. In different styles and colors. So if you are one to swing the irons, pick up a pair and look good on the course. The reason why I love Allen Edmond's is because they take pride in their craftsmanship and the product they put out. 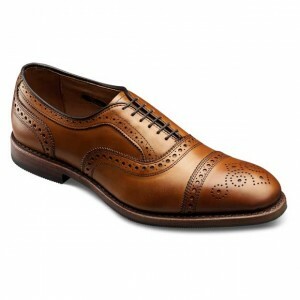 Their shoes are all hand made with precision and intergrity, down to the very last stitch. They also know how to take care of their customers. At any point you can send your shoes in for a full recrafting service, which only cost a slight fee. So when you have worn them out send them in and spend many more years wearing them out again and again. 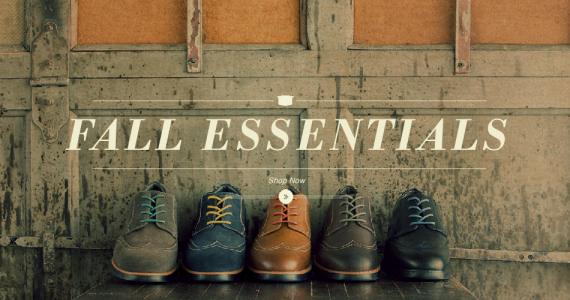 *On a side note, you can go on Allen Edmonds website and custom make you own pair of shoes, right down to the stiching and laces.